We all know it is very important to have adequate intake of fiber ranging from oats, vegetables and fruits. But please keep in mind that you need to drink lots of water as well. There was a case I heard where a person who had an inflammation of the stomach even though he took a lot of oats. The reason was because even though he has the habit of taking oats, he does not drink enough water. Food like sweet potatos and yams are very good source of fiber. Sweet potatos can be just steamed together with your rice or in boiling water. It taste good enough even though eaten by itself. They have quite low Glyceamix Index- which means the food fills you up and there is no hunger pangs. 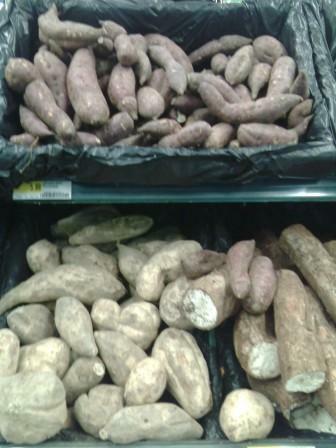 During the Japanese occupation in Malaya in the second world war, a lot of villagers planted sweet potato and yam because these plants grow beneath the earth and therefore is not easily detected. A lot of villagers, without enough food were able to survive on sweet potatoes. Great advice, since the major way a high fiber diet works is to have fiber draw water into the colon, it takes extra water and lots of it to be most effective.